Suntide Commercial Realty provides asset and property management services throughout the greater twin cities area. Our portfolio consists of over 2.1 million square feet of office, retail, industrial, flex, and mixed-use buildings. Suntide has years of experience in commercial asset and property management, accounting, maintenance and facilities management. We are hands-on operators that own and manage several of our own buildings locally and provide our services to a number of other investors as well. Our experienced property managers pay attention to the details – from complete asset management down to seasonal flowers. 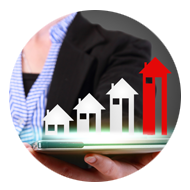 Our focus is maximizing your property value and investment return. 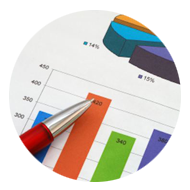 We conduct a detailed analysis of your financials on a regular basis. Cost saving example: During a detailed evaluation of a new client’s financials, we discovered the previous manager had miscalculated the percentage of rent from their largest tenant. We recovered over $300,000 of rent due plus an additional $50,000 each year. We are building owners. We understand the importance of being ahead of the market. We routinely analyze industry projects and will steer your current and future investments toward unprecedented growth. Our leasing agents think beyond the contract to what is best for your assets’ long-term return. Creating profitable contiguous space and maximizing lease terms are the building blocks of Suntide leasing. 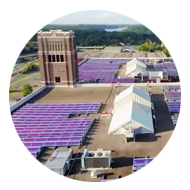 Due to our energy saving measures, Suntide received a 2014 award from the Mayor of Minneapolis as manager of a building having the lowest energy consumption of all business buildings in the city of Minneapolis that are 100,000 SF or larger. We reduced energy by 40% in three of the largest properties we managed, each earning the Energy Star rating. A five-point inspection of our managed buildings is done routinely to ensure building owners are utilizing all energy efficiency savings available. We treat each property as if it were our own! Our superior service has earned us the designation of being a Top 25 Management Company by St. Paul Business Journal. We perform frequent site visits to inspect each property thoroughly to ensure your investment is providing the highest ROI. Capital improvement options are presented each year with the goal of preserving and enhancing the life of the building. As part of the scope of management, managers also maintain current insurance certificates for both the tenants and vendors. Suntide is dedicated to the success of the tenants and the building. We offer a 24/7 emergency, on call system. Property managers take pride in providing prompt and detailed communication with the tenants. As building issues arise they are addressed and resolved quickly. We believe in a consultative approach when working with our clients. Our management proposals are customized to drive the optimum return to you. When developing a strategy your needs are the top priority. 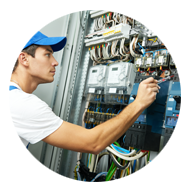 Suntide’s knowledgeable and skilled maintenance engineers are in-house, saving you time and eliminating costly outsourcing. Technicians ensure quality building maintenance through quarterly inspections, energy management upgrades and individualized care.